MWC: HTC One X packs 720p HD screen, Beats Audio and aptX Bluetooth | What Hi-Fi? HTC has announced a trio of new One series smartphones, led by the flagship One X, the company's first Quad Core smartphone. As well as the super-fast processor it sports Beats Audio sound technology, a 4.7in, 1280 x 720 high definition screen and 1080p full HD video recording. Also inside the 9mm slim mobile is aptX Bluetooth 4.0 for higher quality wireless music playback. Packing the latest Android 4.0 OS (Ice Cream Sandwich), an HDMI output and 8 MP camera, the HTC One X has a seriously impressive spec sheet. The One X, which leads the new HTC line-up, is joined by the HTC One S and the HTC One V.
HTC's One S is the company's slimmest phone yet, measuring just 7.6mm thin and with a 4.3in screen and 1.5GHz dual core processor. It still sports Android 4.0, Beats Audio, 1080p HD video recording, an 8 MP front camera and aptX Bluetooth. 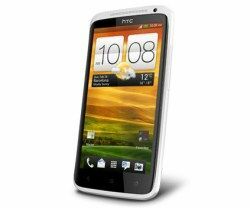 The HTC One S has a 3.7in screen and keeps Android 4.0, Beats Audio and aptX Bluetooth but settles for 720p HD video recording, a 5 MP camera and 1GHz processor. As a nice aside, all three new HTC smartphones come with a free 25GB Dropbox storage allowance. All three HTC One handsets are due out in Europe in April.